The growing insanity among Americans appears to be throwing us all back into the dark ages. Who would have thought people might be going to jail because they cannot afford to pay their bills? The United States abolished debtors’ prisons nearly a century ago, but more than a third of the states allow the police to jail people who don’t pay bills for health care, credit card and automobile loans. The entrapment is established through the back door . . . because people do not understand the law and the workings of the legal system. An example of what is happening recently occurred in Herrin, Illinois where cancer patient Lisa Lindsay refused to pay a $280 doctor bill. She said she didn’t pay after she was told the bill was sent in error and she did not owe the money. The bill didn’t go away, however. It was turned over to a collection agency that eventually filed a complaint leading to her arrest. The other “trick” used by bill collectors has been to use publically owned courts, police and jails to pressure people to pay with money they may desperately need for food, rent or medicine. With many people living on unemployment benefits, minimum wages or social security, there is no longer enough money to go around. Class action lawsuits are being filed all across America in an effort to prevent states from reinstituting debtor’s prisons for people who are too poor to pay traffic fines and court-ordered fines for a variety of petty misdemeanors. Once jailed, prisoners face additional debt when assessed to cover the costs of feeding and housing them against their will. The scheme quickly becomes a Catch-22 since jailed people have no way of obtaining jobs to earn the money needed to cover the accumulating debts. People fall into trouble with the court system when they are sent a notice of a court hearing for refusing to pay, and fail to make an appearance. Some don’t show because they reason that they either don’t owe the money or payment is something they cannot deal with. Others may find it difficult to go to court for lack of public transportation or gasoline for their own vehicle. But under state laws, debtors aren’t sentenced to jail for nonpayment. The courts hit them with contempt of court charges for failing to show up to answer a creditor’s summons. That is how they are sentenced to spend time in jail. Illinois State legislators are working on a bill that will fix this problem, but the loophole still exists elsewhere in the nation. 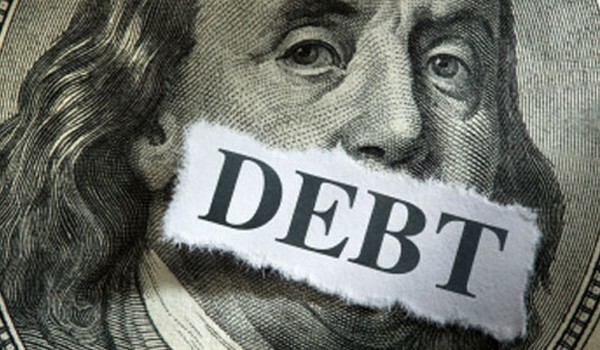 One report noted that judges in the United States issued more than 5000 warrants related to uncollected debt since January, 2010. And more than a third of the states allow borrowers who don’t pay their bills to be jailed. The very practice of housing these people in jail is strangely self-defeating. A report by the American Civil Liberties Union said it was found that the cost of housing a debtor in prison often exceeded the amount of debt they owed. So why do it? Public insanity appears to be the only reason we can think of. Either that or the desire to torture the downtrodden exceeds the need for collecting the money.